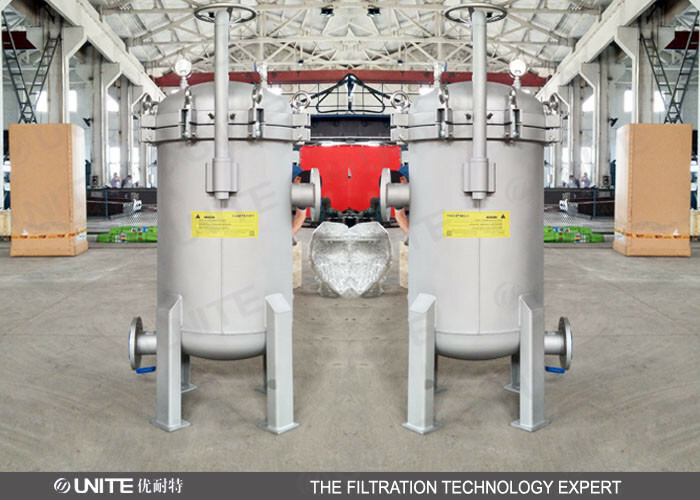 Multi bag filter housings offer a wide range of flow capacities and contaminant-holding capabilities. They contain from 2 to 23 baskets. To serve as a strainer, a unit is ordered with perforated stainless steel baskets (mesh-lined if desired). When ordered as a filter, it's fitted with perforated stainless steel baskets designed to hold disposable or cleanable filter bags. Industry-standard size bags are used: the standard 30 inch baskets accept bag size 2, the optional 15 inch baskets take size 1. The standard pressure rating for all models is 150 psi. All multi bag filter housings can be supplied with an ASME code stamp, if required.